I stumbled upon a little headstone in Chicago’s Rosehill Cemetery in July 2015. I was surprised there wasn’t an existing memorial for this infant on Find A Grave. Who was Adam Schaaf? I wondered as I added a Find A Grave memorial for Baby Schaaf. A link on the baby’s memorial page encourages Find A Grave users to “Find all Schaafs in Rosehill Cemetery”. Adam had been memorialized, but there wasn’t much information there. A family link connected him with his wife Caroline (nee Blasius) Schaaf. Her obituary explained the accomplishments of the Schaaf family and how they may have come to own such an elaborate monument. 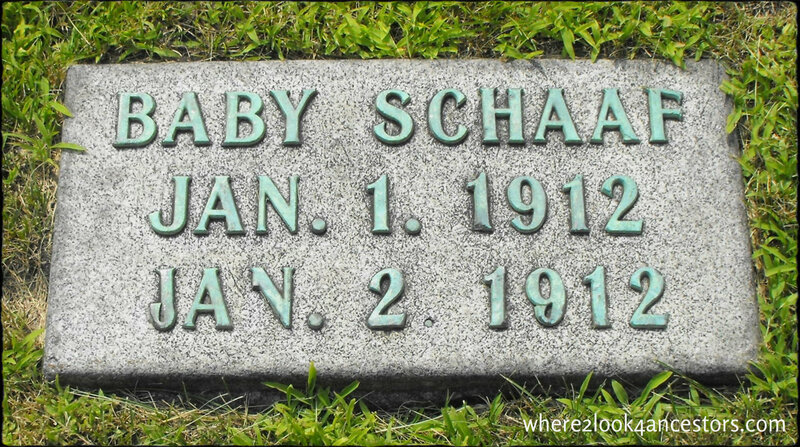 Adam Schaaf died in 1902, so he couldn’t be the father of the infant born in 1912. The family links on his and his wife’s memorials show two sons. Was one of them Baby Schaaf’s father? Adam II and Harry Jr. lived with their parents during both the 1930 and 1940 censuses. Then the story takes a bit of a strange turn. 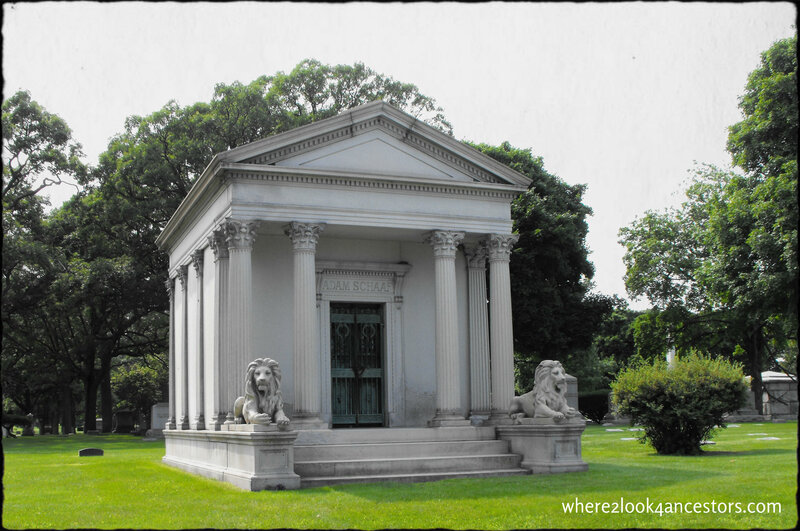 Harry Sr is buried with his family in Rosehill Cemetery on Chicago’s north side . 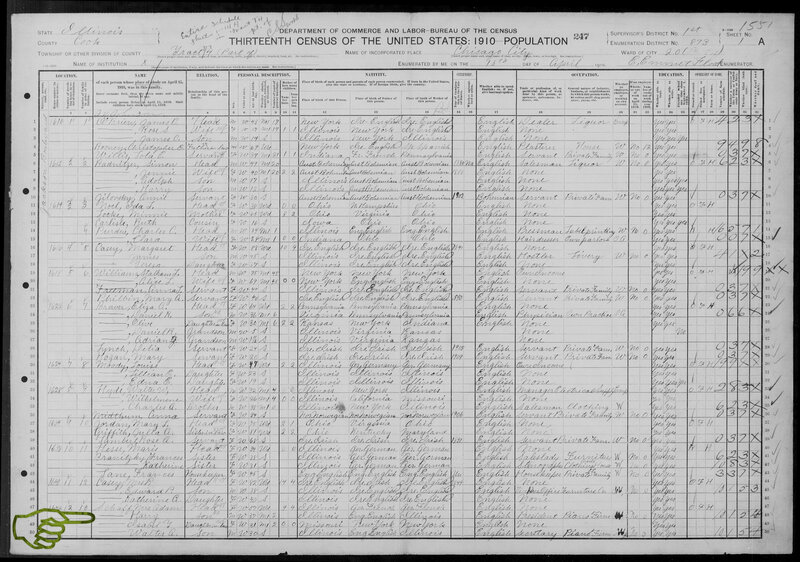 ”United States Census, 1910,” database with images, FamilySearch(https://familysearch.org/ark:/61903/1:1:MKZH-81D: accessed 22 March 2016), Isabel T Schaff in household of Mrs. Adam Schaff, Chicago Ward 20, Cook, Illinois, United States; citing enumeration district (ED) ED 873, sheet 1A, NARA microfilm publication T624 (Washington, D.C.: National Archives and Records Administration, n.d.); FHL microfilm 1,374,275. 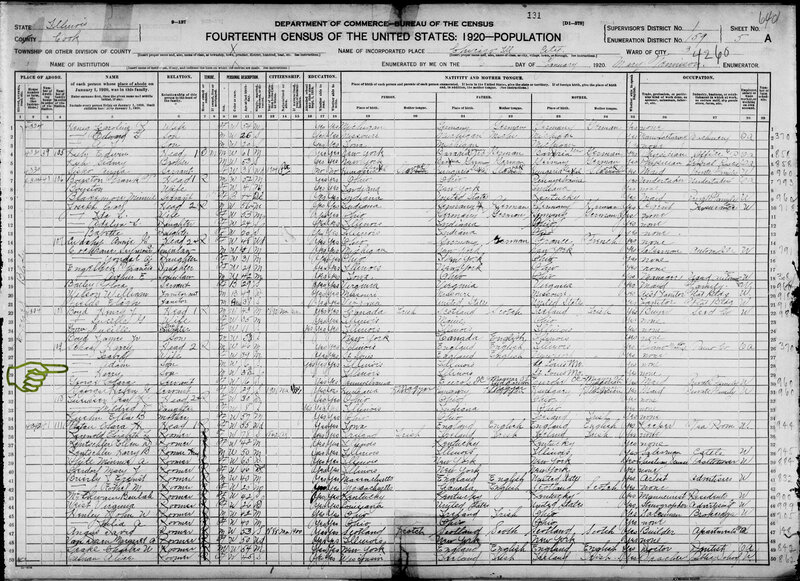 ”United States Census, 1920,” database with images, FamilySearch(https://familysearch.org/ark:/61903/1:1:MJ3M-GXC: accessed 22 March 2016), Isabell Schaaf in household of Harry Schaaf, Chicago Ward 3, Cook (Chicago), Illinois, United States; citing sheet 5A, NARA microfilm publication T625 (Washington D.C.: National Archives and Records Administration, n.d.); FHL microfilm 1,820,313. “Illinois, Cook County Deaths, 1878-1994,” database, FamilySearch(https://familysearch.org/ark:/61903/1:1:Q2M4-NYN4 : accessed 17 April 2016), Harry Schaaf, 01 Sep 1952; citing Chicago, Cook, Illinois, United States, source reference , record number , Cook County Courthouse, Chicago; FHL microfilm. “Illinois, Cook County Deaths, 1878-1994,” database, FamilySearch (https://familysearch.org/ark:/61903/1:1:QVRN-MNJ6 : accessed 17 April 2016), Isabell Schaaf, 26 Feb 1958; citing Chicago, Cook, Illinois, United States, source reference , record number , Cook County Courthouse, Chicago; FHL microfilm.